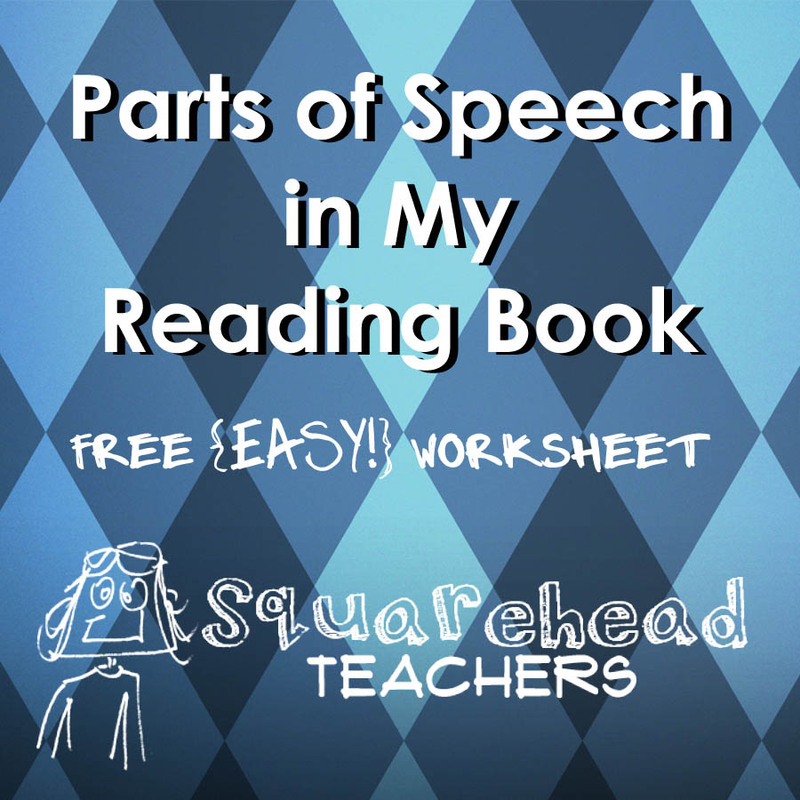 Here’s a really simple (and quick) worksheet for kids to use during their independent reading time or as a homework assignment to help reinforce parts of speech. Although it may seem repetitive (identifying 15 of the same part of speech), this is what some students need to catch on to the idea. For the students who already understand parts of speech, it’s PAINLESS and can be accomplished in a matter of minutes. *You can modify these worksheets on Microsoft Word so they focus on other grammar concepts your class may struggle with. This entry was posted in Grammar, Reading and tagged Children, Education, Elementary School, Kids, Teacher Resources, Teachers, Teaching by Squarehead Teachers. Bookmark the permalink.